A best seller, no wonder why. 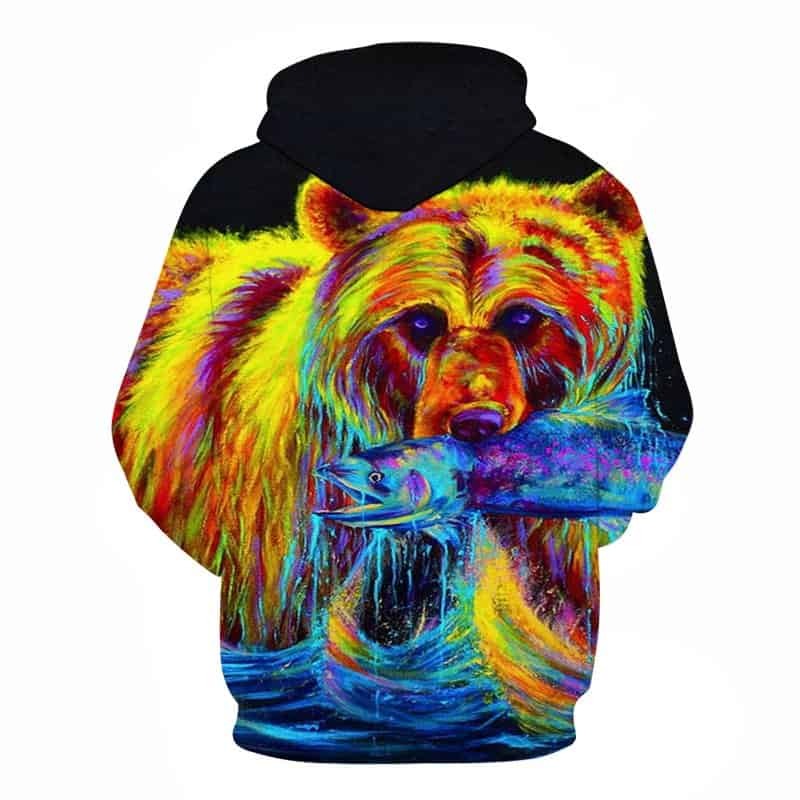 This Fishing Bear Hoodie is majestic, with the neon colors! 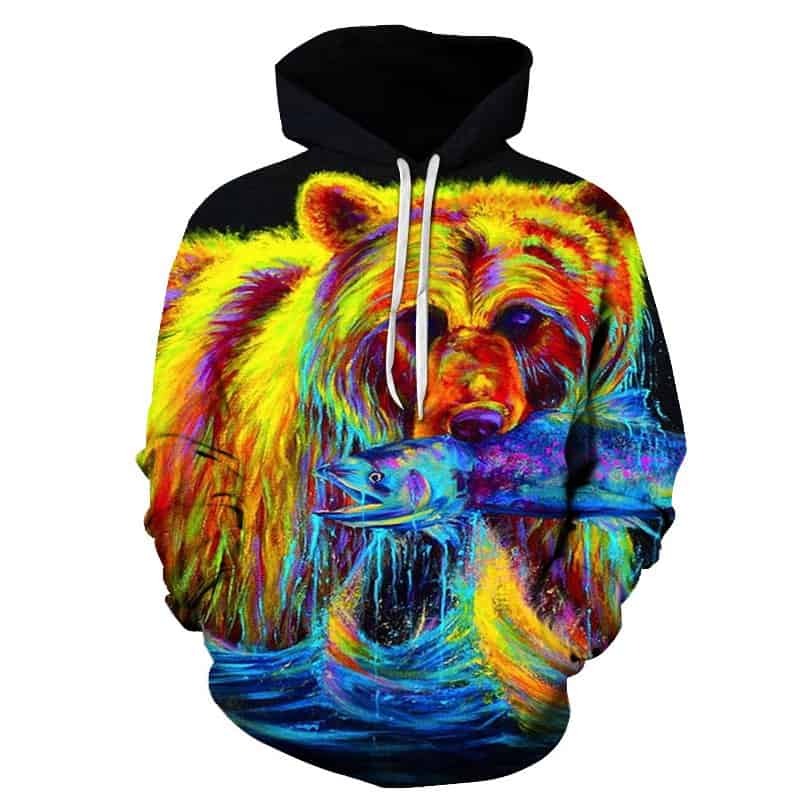 The hoodie features a bear fishing in a river with a catch in his mouth. The neon colors give a trippy and majestic effect. The hoodie is comfortable to wear, looks fashionable and is wearable anywhere. It was designed for both male and female.